August 19th in Wordpress Plugins by Wordpress Jedi . Post Types Order: a dynamic plugin that lets you change the order of any custom post type using a drag & drop interface. 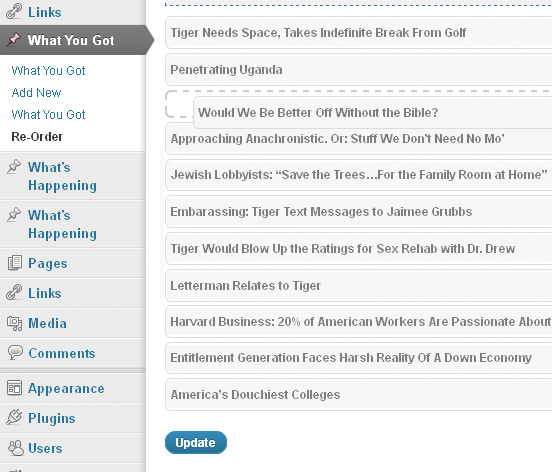 WP Facebook Like Posts Order: want your most liked articles to show up on top? This plugin is just what you need. It uses Facebook Likes number to order your posts. 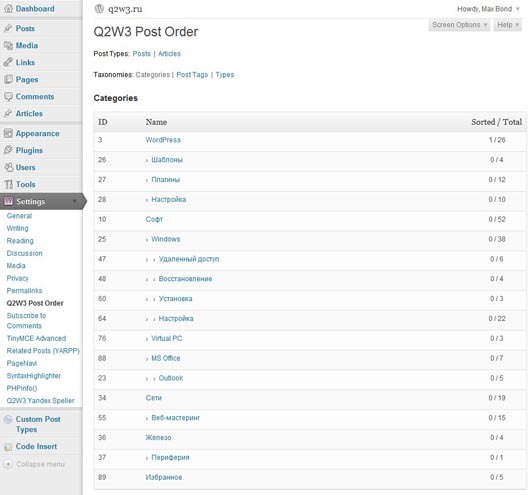 Q2W3 Post Order: lets you change the order of your posts. It can handle custom post types too. 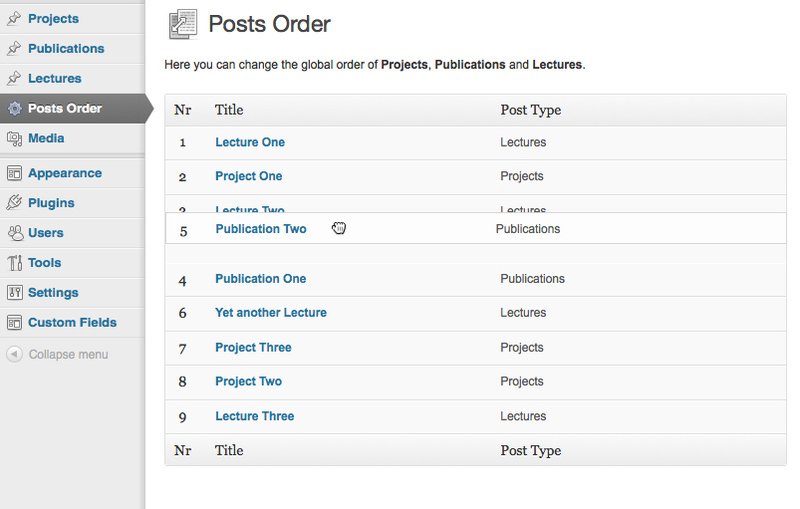 My Post Order: this plugin allows you to order your posts in any order that you desire. You can choose posts individually or by category. 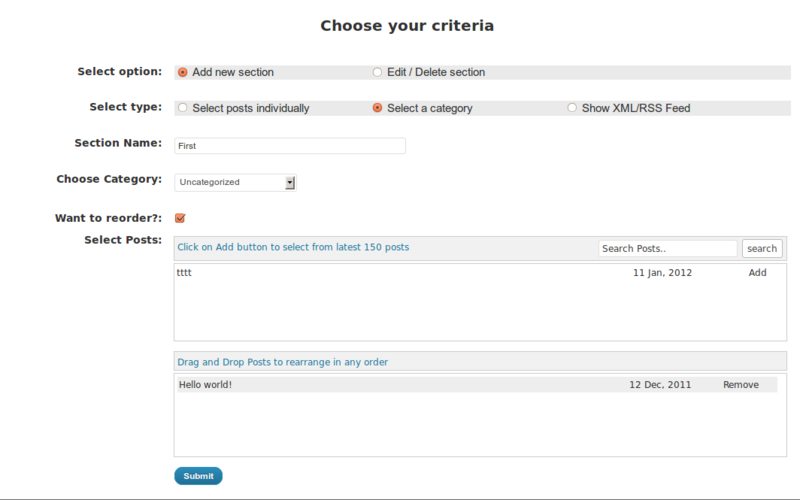 Global Posts Ordering: another simple plugin you can use to change the order of your posts via drag & drop. Similar to Simple Page Ordering in many ways. 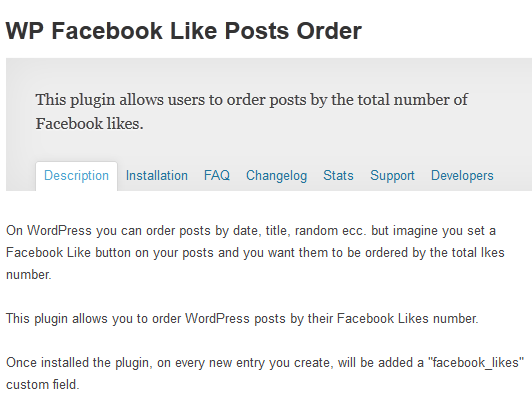 Thanks to these plugins, you won’t have to write a single line of code to re-order your posts.